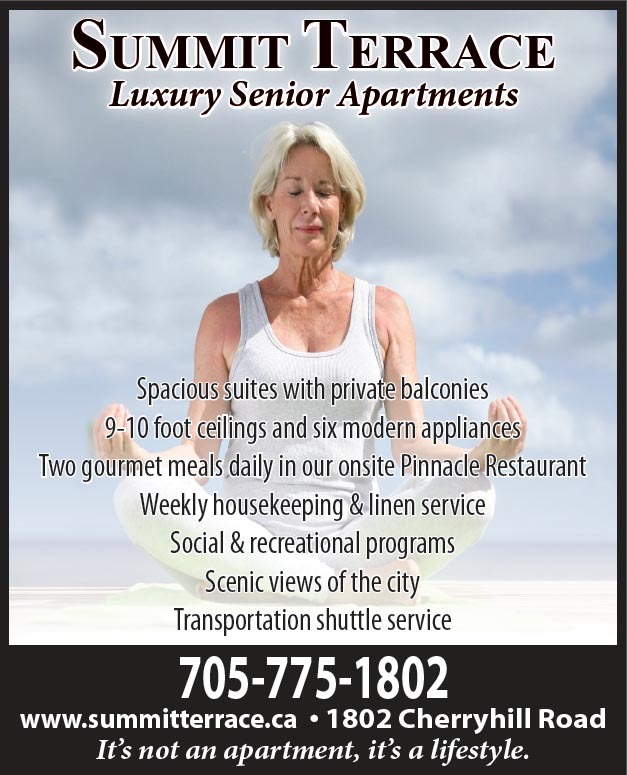 The ultimate active senior lifestyle awaits you at Summit Terrace Senior Apartments. Live here and enjoy meals in the onsite "Pinnacle" restaurant, weekly housekeeping and linen service, stimulating social programs, and so much more. Experience elegance with our fully equipped kitchens, expansive living areas, air conditioning, and private patios and balconies. We offer contemporary floor plans and enhanced features that meet all of your needs. With our stylish, yet simple design, you'll love to call Summit Terrace your new home. Redefine your expectations of what senior living is all about! Summit Terrace is owned and operated by AON Inc., a local, family-owned company. AON has a 50 year history of innovation and outstanding customer service. Well known for its innovative "Gardens of Peterborough" Retirement Homes, its 24-hour emergency maintenance service, Summit Terrace was built by AON to the highest construction standards. 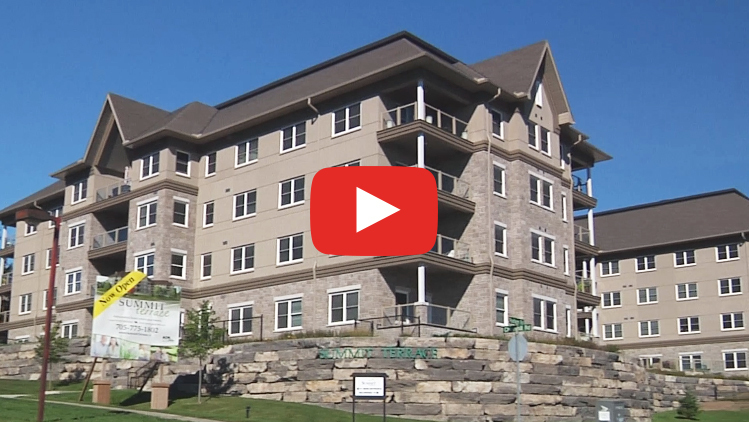 Click the image below to watch a virtual tour of Summit Terrace.